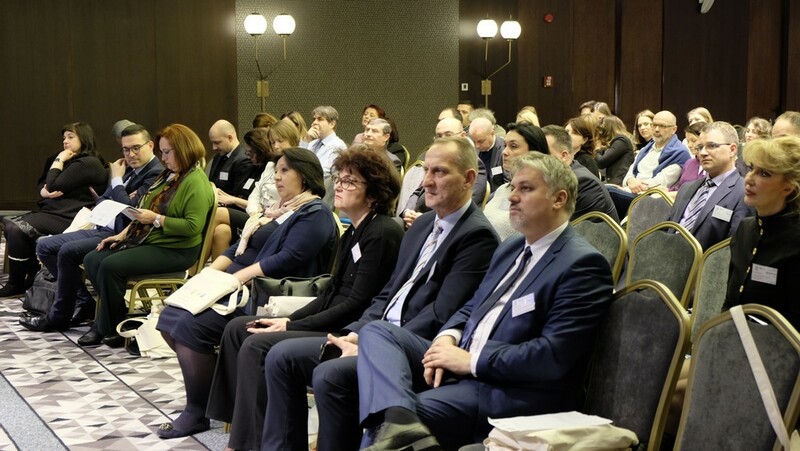 Promotion of the Third Global Report on Education and Adult Learning (GRALE III) of the UNESCO Institute for Lifelong Learning, for the countries of the Eastern and South-Eastern Europe was held on January 26th in Belgrade. The event was organized by ICAE, UNESCO Institute for Lifelong learning (UIL), Department for Andragogy Faculty of Philosophy of the University of Belgrade and Adult Education Society from Belgrade, under the patronage of Ministry of Education, Science and Technological Development of the Republic of Serbia and Commission of the Republic of Serbia for UNESCO and With participation of the Ministry of Foreign Affairs of the Republic of Serbia. Third Global Report on Adult Learning and Education (GRALE III) was created based on National Reports – monitoring surveys completed by 139 UNESCO Member States (among which also Serbia), as part of the preparations for the CONFINTEA VI Mid-term Conference 2017 in Korea. GRALE III has a specific, inter-sectoral approach towards the lifelong learning by representing the influence of the adult education in three main sections: personal – health and wellbeing; economic – employment and labour market, and social – civil society and life in the community. That way GRALE 3 offers help and valuable information to the policy makers, researchers and practitioners, but also emphasises the important role that education and adult learning will have in the actualization of the 2030 Agenda for the sustainable development, especially SDG 4 – “Ensure inclusive and quality education and promote lifelong learning opportunities for all”. The Conference was opened by ICAE Secretary General Dr Katarina Popović who reported about the efforts ICAE and UIL made last year in promoting GRALE, RALE (Recommendation for Adult Learning and Education), intersectoral approach to ALE and SDG 4. She pointed out the important role global civil society is playing in this process and about activities ICAE organized, and the ways it’s linked with the local civil society efforts, such as activities of Adult Education Society – which recognized the value of CONFINTEA, GRALE, and RALE for their work and mission. His E.C. Ambassador Coordinator to the Economic and Social Council of the UN and of the Sustainable Development Goals and Agenda 2030, Dragan Zupanjevac put the topic into the context of SDG agenda and pointed out the intersectoral approach – no goal could be achieved without adult education and lifelong learning. 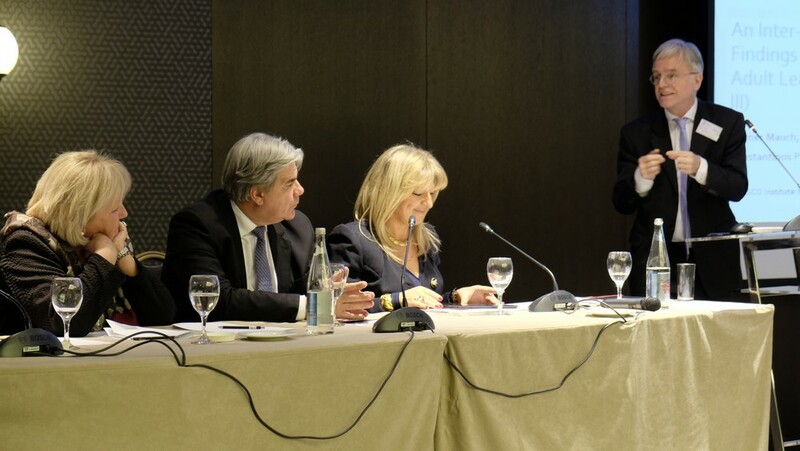 He also highlighted the important role and contribution of Serbia in the formulation and implementation of the SDG 2030, through the prism of the adult education and lifelong learning, while the important role and work of the National Commission for UNESCO were presented by its president Goran Milašinović. Mr. Werner Mauch and Mr. Konstantinos Pagratis from the UIL presented the summary of the Global report regarding the countries in the region, reflecting their accomplishments but also the areas which need further, intensive efforts. Dr Medic (Department of Andragogy, Faculty of Philosophy of the University of Belgrade) reported about the rich history CONFINTEA has in Serbia and about CONFINTEA VI follow-up in South East Europe. She reminded participants how GRALE 1 and 2 were successfully used not only for advocacy but also, together with BFA, as a mean to structure adult education efforts in the region and to gather all relevant partners – government, CSO, academia, practitioners. She stressed that CONFINTEA was not only the event or the process, but also a social movement that engaged and connected the whole adult education community in the region, with GRALE playing the role of an instrument, judge and juror. The important role that adult education in the accomplishment of the goals defined by the key strategic documents of Serbia and the efforts that Serbia has made in this field were presented by Snežana Markovic (Ministry of Education, Science and Technological Development, Assistant Minister for Secondary Education and Adult Education). The need for cooperation between all social partners, and the role of the University and the civil sector was addressed by Aleksandra Pejatović, Chairman of the Department of Andragogy of the Faculty of Philosophy at the University of Belgrade. The Conference was a great opportunity for the 80 participants from 17 countries to exchange opinions, experiences and ideas regarding the important issues such are regional cooperation in the area of adult education, and it`s improvement with the help of the CONFINTEA VI process. This was also a good start of the broad mobilisation and preparation process for the coming CONFINTEA VI Mid-term review in Korea in October 2017. This entry was posted in Events, ICAE, News, Workshops by WEB Team. Bookmark the permalink.